Check out the features of the all-new Hyundai Santa Fe, now on the lot at our Nashua dealership. It seats up to seven, and comes with a roomy interior. You will find the latest infotainment features and ample cargo space in the new Hyundai Santa Fe. Nashua, this SUV offers the right blend of form, functionality and performance. Our expert staff will walk you through all the features of this vehicle. 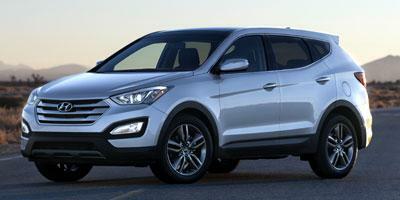 We also offer attractive and flexible financing options on the new Hyundai Santa Fe at our Nashua dealership. Our staff will help you with all the details about these options. We will try and make this process as easy as possible. Drop by to get a closer look at this vehicle. We would be glad to assist you with anything related to buying, leasing or after-sales of the new Hyundai Santa Fe at our Nashua store. All you have to do is simply get in touch with us and tell us which model you would like to drive back home. We look forward to meeting you. If you have been wanting to explore the new Hyundai Santa Fe inventory, consider our Nashua dealership. Ours is one of the most well-known names for automobiles in the area. Our dedicated sales consultants are here to assist you every step of the way during your shopping experience. We are committed to providing an excellent total ownership experience to our customers. That is why we also have service and parts departments. So whether it is selecting a model from our new Hyundai Santa Fe inventory in Nashua, or a particular part for your existing vehicle, we have got it covered.